Gin – it rhymes with gym but it’s twice as fun, and now, three times as convenient. 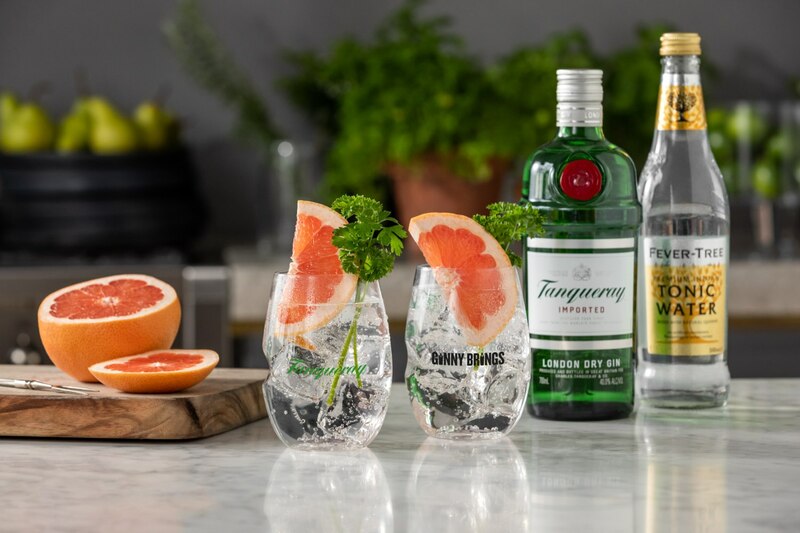 If you love drinking in the comfort of your own home (and how could you not, it’s a pants-are-off, drinks-are-up situation), you’re about to sing a sweet ode to Tanqueray and Jimmy Brings for their latest delivery mashup. Taking over the popular alcohol delivery service, Ginny Brings will be swigging by your place with G&T bundles from 5:30pm on Saturday, December 1st. This isn’t just a “drop a bottle on your porch and go” deal, no, your humble delivery human will set you up with your choice of any Tanqueray gin, perfectly paired Fever Tree, and garnishes… wait for it… all within 30 minutes of confirming your order. Yep, it’s as simple at that. Get clicking at GinnyBrings.com.au, or order via the official Jimmy Brings app. It’s the remix to gin, hot and fresh out the van. - the gourmand who can’t look at gin the same after one fateful night, but can appreciate this service nonetheless.